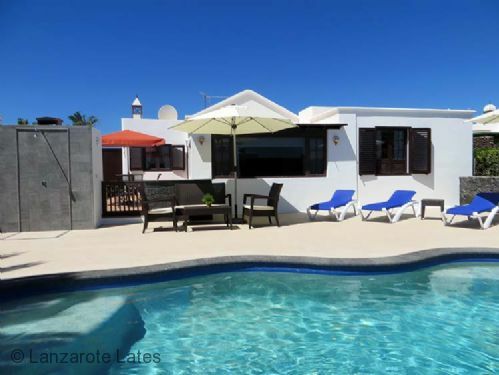 Casa Elsanna is a beautiful 2 bedroom, 2 bathroom villa with private heated pool, private hot tub, aircon (pay as you go) and free WiFi, located only a minutes walk from the harbour in Playa Blanca. 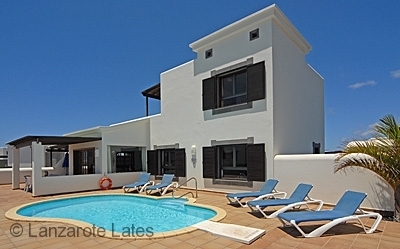 Casa Innismore is a beautiful 3 bedroom, 2 bathroom villa with private heated pool. Located in the secure gated complex La Terracitas close to Playa Flamingo beach, shops, restaurants, ferry port and Playa Blanca town centre. 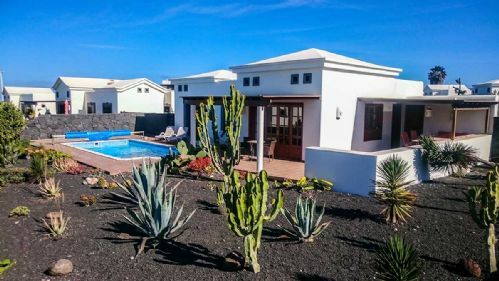 Casa Jadaryga is a very special 3 bedroom 2 bathroom detached villa in Playa Blanca close to the sea. Casa Jadaryga has a fully equipped kitchen, outside dining area and BBQ. 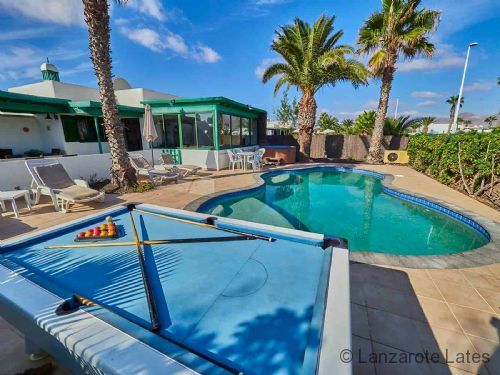 Outside seating, heated pool and free WIFI make this a Lanzarote home from home. We are delighted to offer you this beautiful, modern detached 2 bedroom, 2 bathroom villa with private (electrically) heated swimming pool. Free Wifi and internet TV. Casa Jolin has a lovely garden surrounded by a volcanic wall to give you an excellent degree of privacy when you using the pool or enjoying the sunbathing. Casa Kizzy is a new, modern and luxurious villa in Playa Blanca with a private heated pool located on a peaceful complex with tennis and paddel court. This villa has standard 2 bedrooms, 2 bathrooms for max. 4 people sharing, with the option to book a 3rd bedroom with 2 single beds and a ensuite bathroom with shower.